You know those studies that show that you really do become more sensitive to the weather as you get older? A similar principle might apply to the ability to cope with New Jersey corruption, because the 44 recent arrests here seem to have outraged even people who thought they’d become inured to the vast pay-to-play game that is Garden State politics. 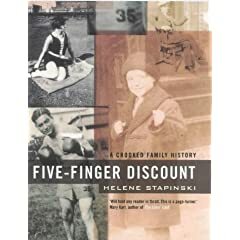 For anyone who’d like to know more about how it works, a book that relates tangentially is Helene Stapinki’s memoir of a growing up in a Jersey City family, Five-Finger Discount: A Crooked Family History (Random House, 2002). 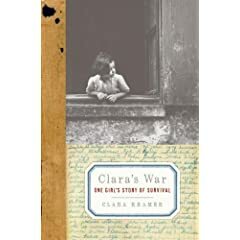 I read this one for fun years ago when I was briefly AWOL from reviewing, so I didn’t bring much of a critical sensibility to bear on its tale of growing up with relatives such as a bookie and a grandfather sent to prison for armed robbery. But Stapinski tells her story with mordant comedy, if with inconsistent results, and I enjoyed it. She also relates her family’s crimes to the major-league corruption of the Hudson County Democratic machine, a group of power brokers sullied again in the July 25 dragnet. Michiko Kakutani had more on the book in her New York Times review.